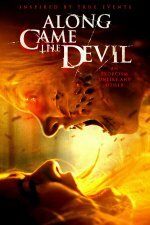 Along Came the Devil release date was Friday, August 10, 2018. This was a Limited in theaters release. Ashley (Sydney Sweeney) is sent to live with her estranged Aunt Tanya (Jessica Barth) . While in her old hometown she has visions of her deceased mom, driving her to contact the spirit world. Ashley unknowingly unearths a demonic force, which leaves her loved ones fighting for her soul.